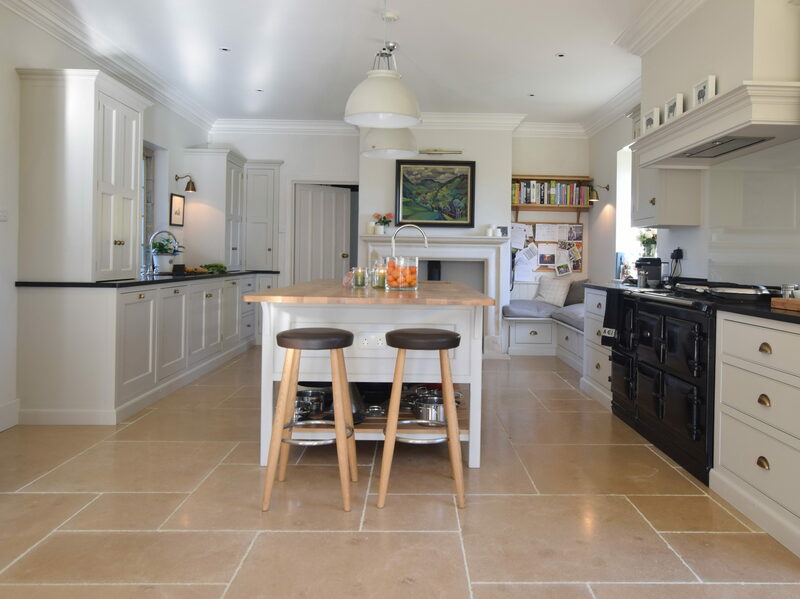 This Victorian gabled house sits nestled in a most secluded spot in Somerset near Bruton, perched genteelly amongst trees and fields it is truly picturesque. 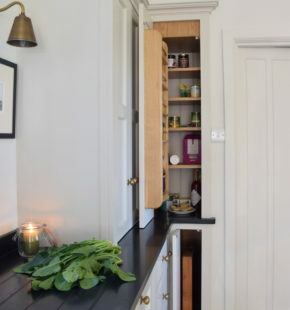 The kitchen itself started out as two rooms but with the beautiful mullion window at the far end it was crying out to become one large space. 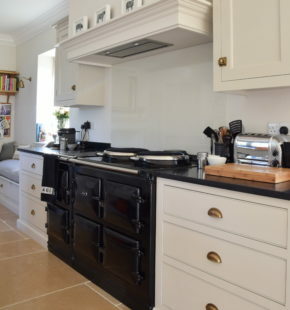 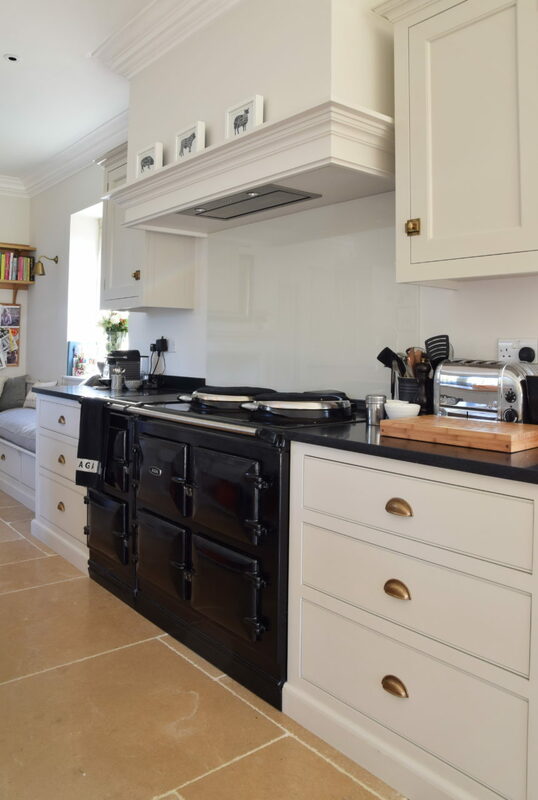 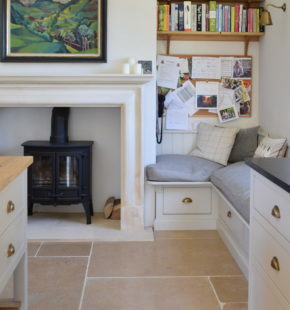 It now rather luxuriously sports two woodburners, one at each end of the room and a five oven Total Control Aga, so even with the stone windows this room feels anything but cold. 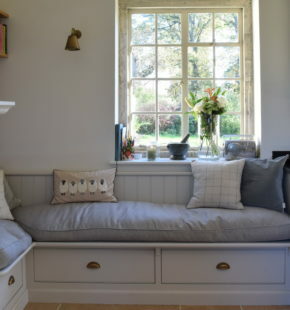 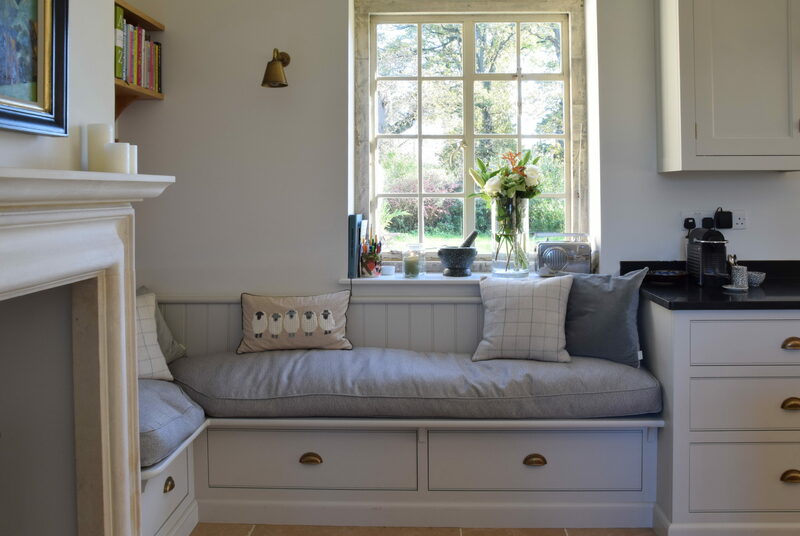 It is a room that has been designed for comfort and for some ‘Mummy me time’, with the cosy window seats and plump cushions in the corner and an old fashioned wall mounted telephone which the owner uses to call her Mum on, perfectly positioned next to the fire. 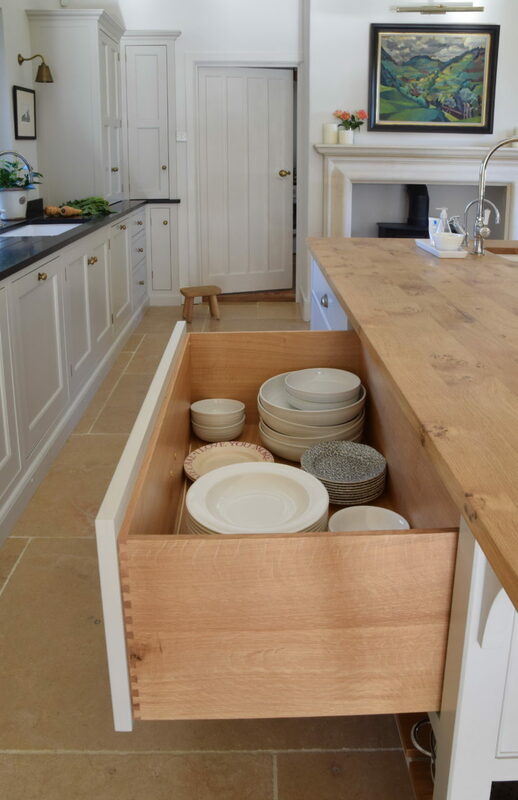 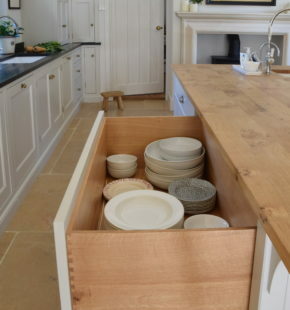 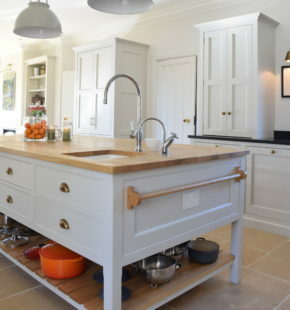 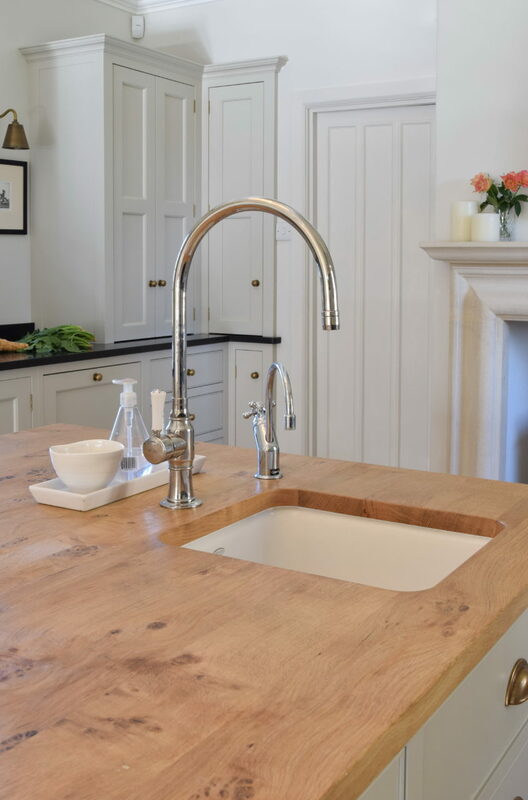 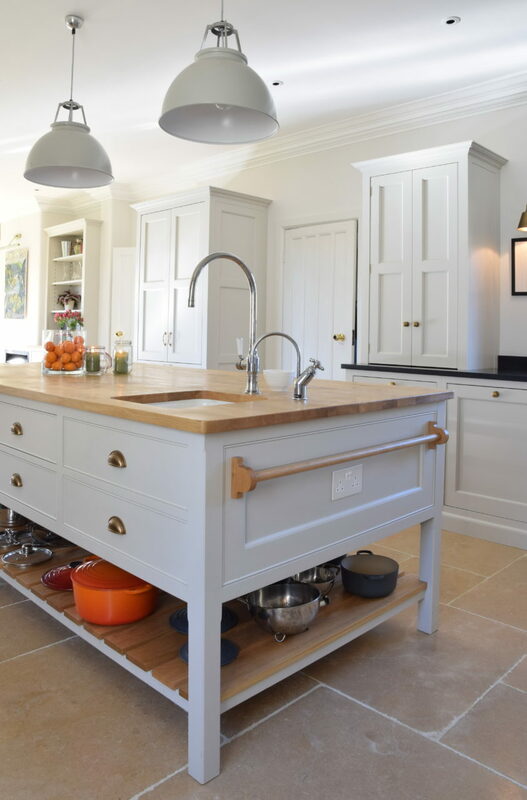 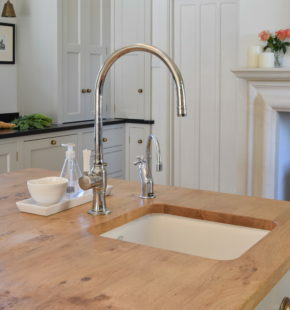 The island has a work table look with it’s slatted base, deep drawers and character oak top, it is both beautiful and practical. 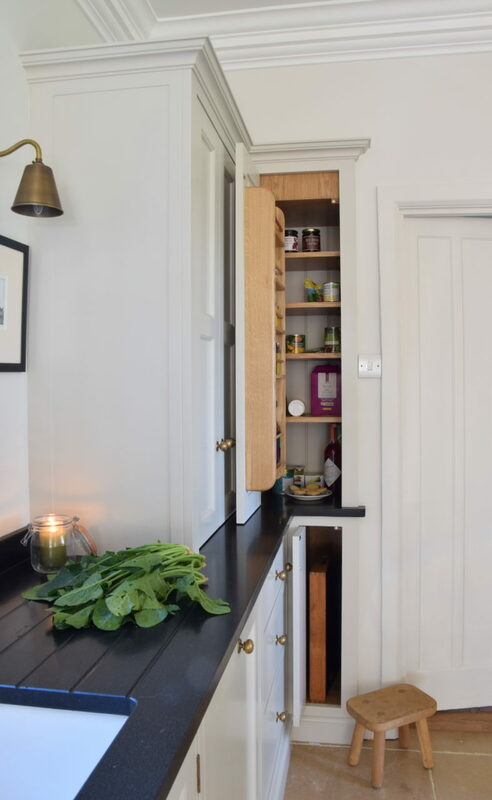 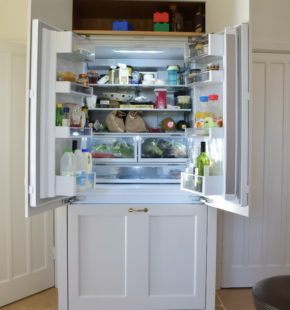 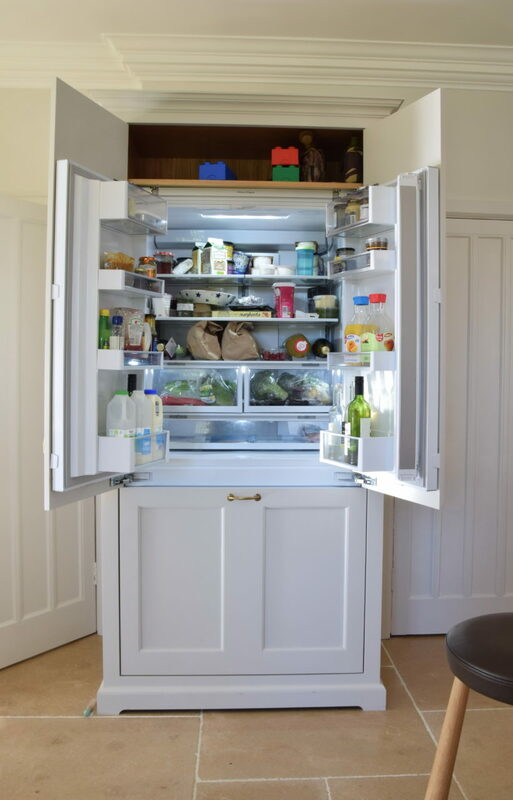 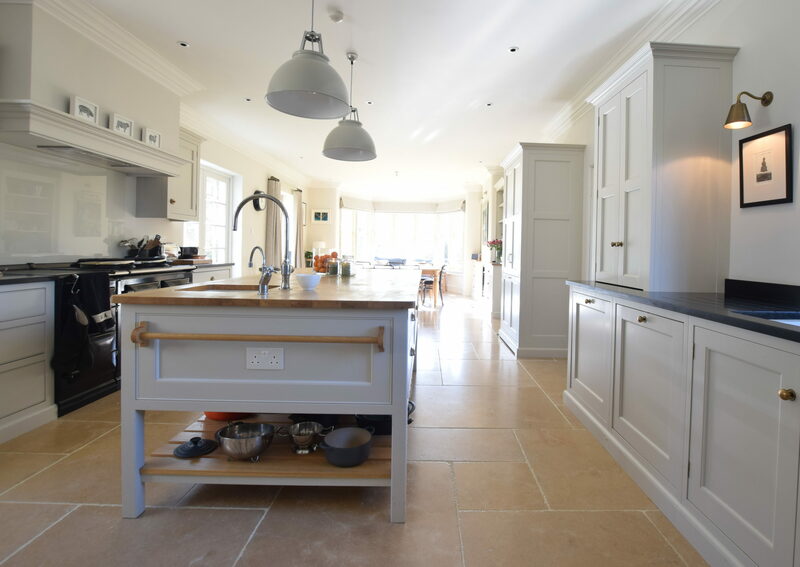 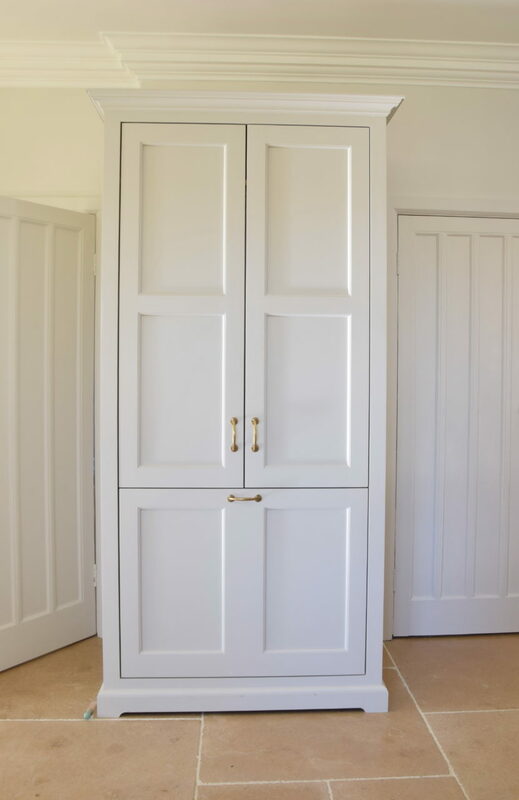 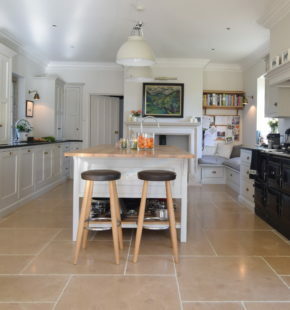 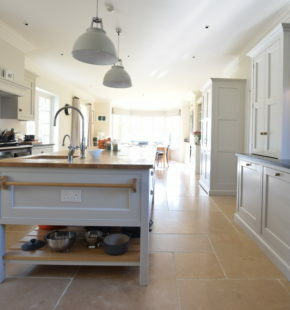 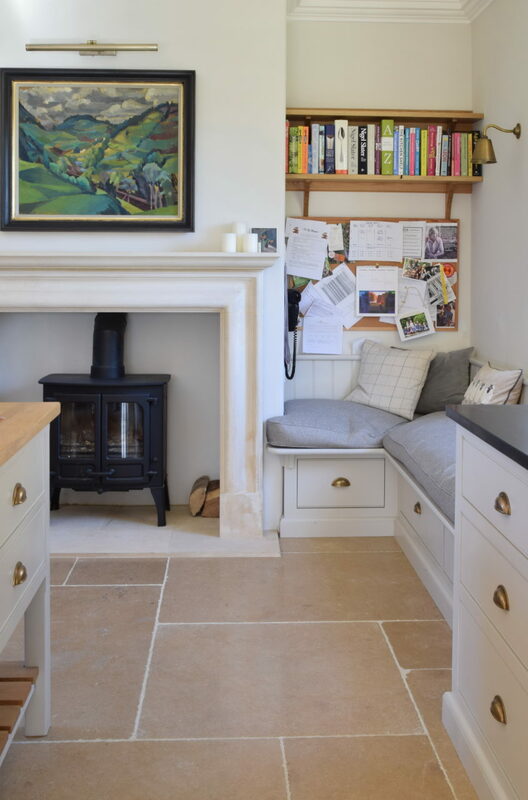 The colours throughout are carefully selected shades of Little Greene Slaked Lime both Deep and Mid which create a soft palate that is both easy to live with and as the owner says makes her feel incredibly calm after a long day of firefighting young children. 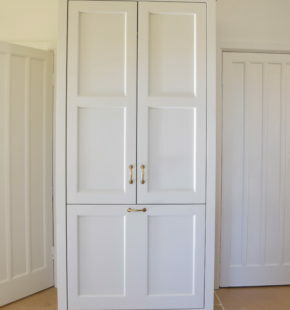 The hardware is all in burnished brass.